This book aims to span the cultural differences separating the humanities from the natural sciences. In his exposition, the author goes well beyond the typical level found in popular science presentations. 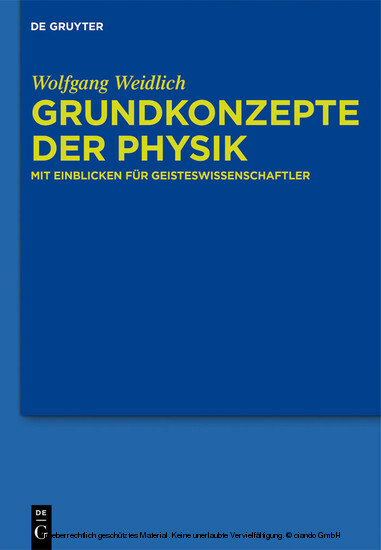 There is a separate chapter devoted to the mathematical fundamentals needed for understanding many concepts in physics. Wolfgang Weidlich, Universität Stuttgart, Stuttgart, Deutschland.